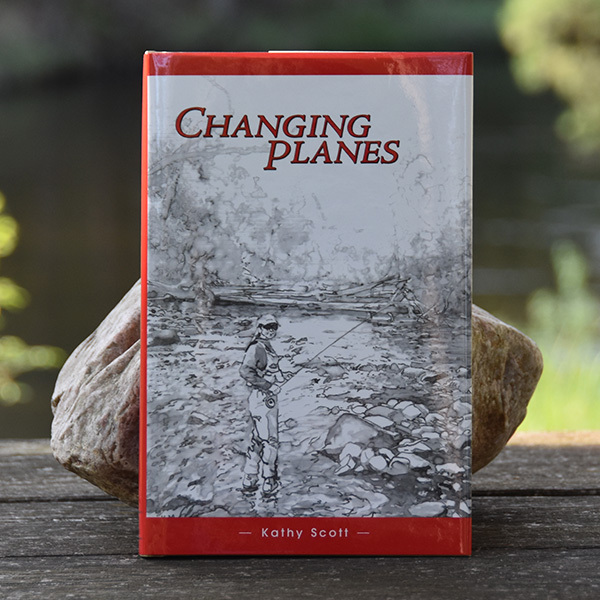 In Changing Planes, Kathy Scott takes plane in hand, learning the craft from her husband, David Van Burgel, an experienced, highly talented, rodmaker. 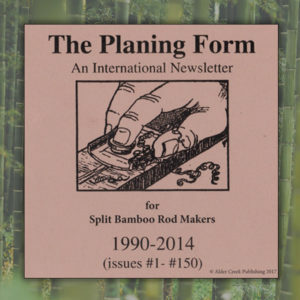 The nature of change, the changes in nature, and the inspirations of community are intertwined in the resulting engaging journal of their lives together. Making the rod becomes a metaphor for embracing the changes in life, changes where we find ourselves living on a different plane, still good, still to be celebrated, though not always easy to face. 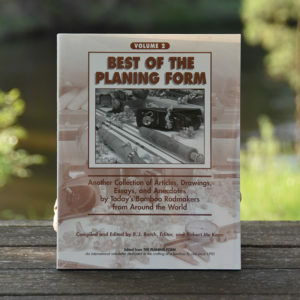 Readers of her other books will be pleased to continue her story; new readers will find an outdoor world they’ll love to share: Maine, Michigan, Labrador, the conservation community, the community that is rodmaking today. Anyone facing changes in his or her life will find themselves in these pages. 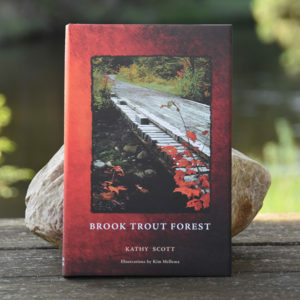 “Kathy Scott’s new book is a joy to read. Her best yet! “Her zest for life comes out in a myriad of ways. She makes her first fly rod, she is involved in environmental work, is president of her local T.U. Chapter and loves to fish, all this while working a full time job.